When Monsanto Executive Vice President Robert Fraley presented the final Heuermann Lecture of 2014-15 on Tuesday, he offered optimism for the agricultural advancements he sees on the horizon. Fraley, Monsanto's Chief Technology Officer, spoke on "2050: Agriculture's Role in Mitigating Global Challenges." As agriculture faces challenges presented by an increasing population, global food needs, changing diets, limited farmland, and a changing climate, Fraley is confident the needs of the future can be met. "The reason I believe this is possible is that there is an absolute tidal wave of new innovation coming into agriculture," he said. "Innovation from biology, data science and information technology is converging across all aspects of production agriculture." He described how agricultural researchers and industry leaders are exploring new innovations that can help farmers produce more food on less land, while also identifying ways to improve soil health and the environment. Today's genetic research is leading to new breeding programs that will drive yield and productivity. "Breeding has changed more in the last five years than it has in the last 5,000," Fraley said. Fraley is proud of the safety ratings over 30 years of testing genetically modified crops, which have now been approved in 37 countries and were planted by over 18 million farmers in 27 countries in 2013. Technology has increased yields by 20%, reduced pesticide use by 30%, and increased farmer productivity, which is why 95% of the corn and soybean producers in this country have utilized the technology, Fraley said. Now is the time to have the dialogue about the acceptance of these innovations and the important role they will play for food and energy security in the future, Fraley said. "It's an important time for all of us to understand both the challenges and the opportunities that we're facing in agriculture." Known as one of the pioneers in agricultural biotechnology, Fraley has been involved in ag research since the early 1980s. He has been with Monsanto for more than 30 years and oversees the company's global technology division, which includes plant breeding, plant biotechnology, ag biologicals, ag microbials, precision agriculture and crop protection. 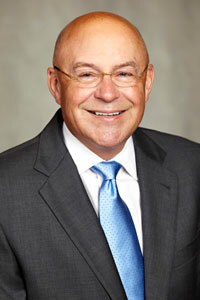 Fraley, named a World Food Prize Laureate in 2013, is the fourth Heuermann Lecturer with that distinguished honor. Previous World Food Prize Laureates to speak were Catherine Bertini, Per Pinstrup-Andersen and M.S. Swaminathan. Heuermann Lectures in the Institute of Agriculture and Natural Resources at UNL are possible through a gift from B. Keith and Norma Heuermann of Phillips. The Heuermanns are longtime university supporters with a strong commitment to Nebraska's production agriculture, natural resources, rural areas and people. This and previous lectures are available for viewing at http://heuermannlectures.unl.edu. The 2015-2016 Heuermann Lectures are scheduled to be announced in June.